Please note, this is an application that requires installation on the Promira™ Serial Platform. 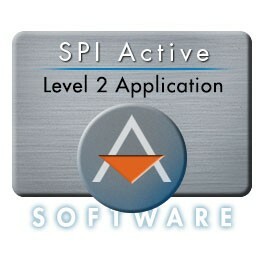 The SPI Active – Level 1 Application is a pre-requisite to using this application. 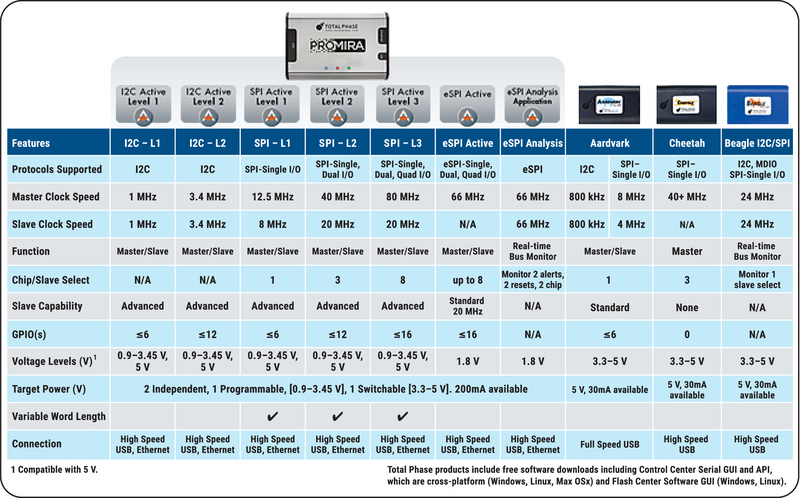 The all-new architecture of the SPI Active - Level 2 Application running on the Promira Serial Platform provides superior performance. With many new embedded features such as integrated voltage level-shifting, advanced message queuing, High-speed USB or Ethernet connectivity to your analysis PC and many more, debugging or programming your SPI system has never been easier or faster. Once you're running the SPI Active - Level 2 Application on your Promira platform you can create your own interface using Total Phase's robust API or select from our no charge GUIs: Control Center Serial or Flash Center to control your SPI data. The purchase of your SPI Active - Level 2 Application includes one year of support, allowing you to download any updates for this application for 12 months after purchase. The SPI Active - Level 2 Application is a download that runs on your Promira Serial Platform unit , which has been already licensed with the SPI Active – Level 1 Application. Once you have purchased a Promira Serial Platform unit, you'll be able to instantly download and add new applications as they become available.